I can see the light at the end of the tunnel. The last box of yarn for the Tasting should arrive today from Fiber Optics. 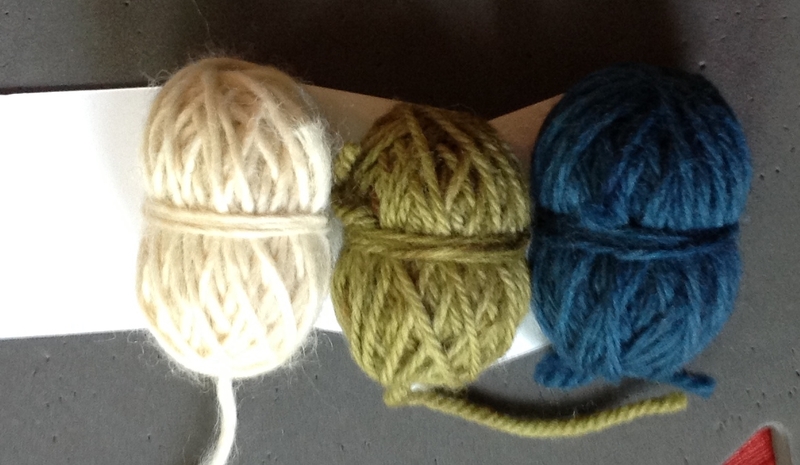 I am hoping to get all of the yarn balls and yarn for the goody bags shipped off early next week. I can't complain too much since I volunteered to do this and I never expected such a good response. All I can say is there are going to be 80 very happy knitters at our show. This pretty much sums up what I have been doing. I have to get all of this yarn out of the house as I am starting to get the yarn for the Winter issue of Cast On. RedFish has sent yarn for the mitten garland and the yarn from Unique Sheep (over the knee socks) should arrive today. It was a fairly slow week. I did have a student complete the Basics course and she is going on to the Masters Program. Another finished up the Finishing Course. It makes me happy when I have students complete courses. I've had several people ask me how I make those center pull balls and I thought since I am still winding tons of them this would be a good week to do it. Laura Farson, who has taught at our conferences, showed me how to do this. I was going to list Laura's books here but it is easier to just put in a link to her books on Amazon. Laura's books. I thought you had to use a nostepinne to make these balls but Laura showed me how using a large Sharpie. Most nostepinnes are too large for these small balls. The one I have is also very decorative and not as practical as a Size 17 DPN. Salon will be on Saturday from 2-4pm. I'll be getting up at the crack of dawn to drive to Cincinnati airport so I may fall asleep. I'm going to Grand Night for Singing Sunday afternoon. I have had no time for knitting, thanks to all of this yarn. I did make some progress earlier this week on the Wasp Wing dress. Since yarn is arriving for Cast On projects, this will have to wait.